Our skincare regime can change on a daily, weekly, or monthly basis. It's totally dependent on what our skin is doing at any given time and of course the ever changeable British weather. 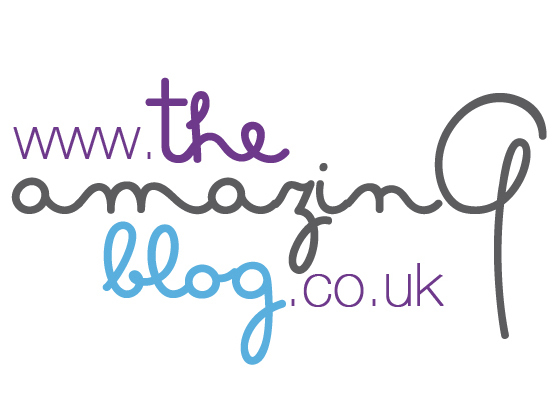 At The Amazing Blog we all have varying skin types and therefore very different beauty routines. However, there is one skincare range that we all agree on and that is the Love Your Skin products. They have been a great addition to all of our skincare regimes. There are a plethora of cleansers, toners, lotions, serums, and gels, so what more could one possibly ask for? Their facial range includes: Cleanse & Smooth Exfoliating Wash, Complete Cleansing Creme Lotion, Complete Cleansing Water, Floral Hydrating Spritzer, Intensive Hydra Gel Moisturiser, and a variety of Treatment Serums. One of my favourite products in this collection is the Floral Hydrating Spritzer, it's a great way to freshen up and give your skin a bit of a boost especially if it’s taken its toll with all the recent seasonal partying. This spritz really has helped to balance and freshen up my complexion. A delicate combination of ingredients (Rose and Aloe Vera) are used to create this spritz, including Frankincense and Myrrh (er sadly no gold!) All at a reasonable £19.99 for 100ml. This is currently my everyday handbag staple. The Complete Cleansing Water is another favourite with The Amazing Blog team. It's a great way to remove makeup without agitating your skin. It’s oil free, making it suitable for all skin types. This is also good for the other members of the team as they tend to have more oily skin types, so an oil free product for them is always a positive. There are calming anti-oxidants in the water in the form of Linden Blossom and Green Tea. The girls just added a small amount to a cotton pad and gently wiped away their foundation and eye makeup. They loved it as they were left with a moisturised and beautifully cleansed face. This is definitely a very gentle way to remove your makeup, we like the ingredients and also the price £22.99 for 200ml. The serums are worth having a look at too, as there are plenty to choose from and each one is packed with different ingredients depending on the what skin imperfections you are targeting. The Body Skincare products for Love Your Skin comprise of two main types the Arnica and the Collagen ranges. There are the Arnica and the Collagen Body Moisturising Gels, as well as the Collagen and the Arnica Bath & Shower Gels. The Arnica Montana plant (found in the Arnica range) has been used for centuries in topical application for healing the skin, it is one of the most popular homeopathic remedies in Britain for soothing wounds and bruising. Therefore no surprise as to why Love Your Skin includes it in almost all of their bodycare products. All the gels are a very light and non-greasy and don’t have the same density as some other gels have. We like the fact that the gels get absorbed quickly, are not overpowering with their fragrance and are very easy to apply. They have excellent skin calming qualities so brilliant for any aches or pains that you might have. I found the Arnica Duo Set a great combination especially for using after a hard session at the gym. The prices vary but you can find all them and further ingredient information here. There are so many lovely products to explore and lots of sets to make great presents, it’s only a month away until Valentines Day so maybe start scheduling in some heavy hints now…?